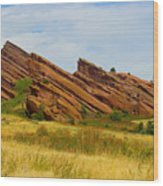 Red Rocks is a photograph by James BO Insogna which was uploaded on October 6th, 2010. Red Rocks Park is a mountain park in Jefferson County, Colorado, owned and maintained by the city of Denver as part of the Denver Mountain Parks system. 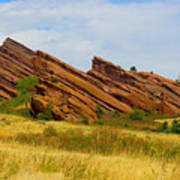 The park is known for its very large red sandstone outcrops. 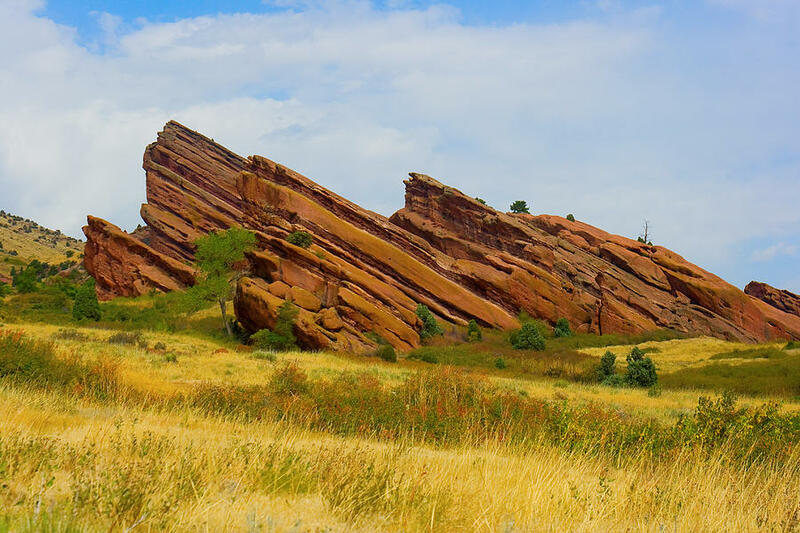 The red sandstone found throughout Red Rocks Park is geologically identified as belonging to the Fountain Formation. 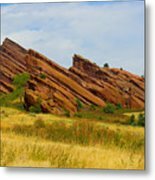 Other Colorado examples of Fountain Formation geology include nearby Roxborough State Park, Garden of the Gods near Colorado Springs and the Flatirons near Boulder. The rocks were formed about 290-296 million years ago when the Ancestral Rocky Mountains were eroded during the Pennsylvanian epoch. Later, uplift during the Laramide orogeny tilted the rocks to the angle at which they sit today. Thank you Ann and Will! The contrast between the hard edges of the rock and the soft vegetation is striking, Bo! Beautiful! An eye-catching rock formation, Bo- beautifully photographed!! Fantastic work James !! A favorite.